Intel, in conjunction with Micron, is claiming a massive breakthrough in memory technology with the introduction of what both firms are calling the first new memory category since NAND flash first tipped up in the late eighties. 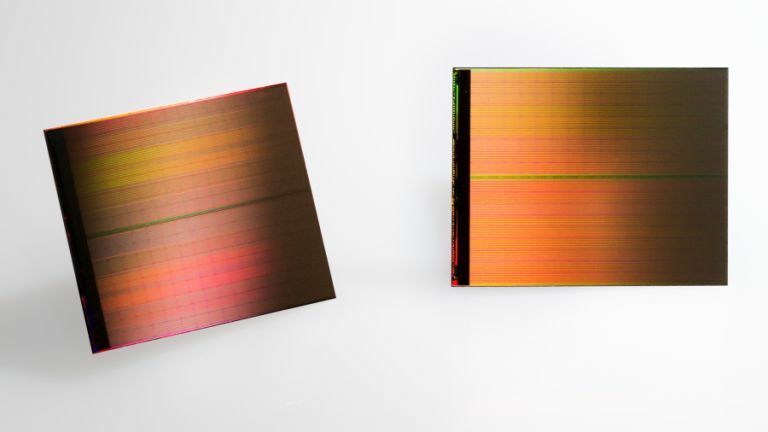 3D Xpoint tech promises to revolutionise storage and system memory, with Intel claiming that it's 1000 times faster and has 1000 times greater endurance than NAND – and that it's 10 times denser than conventional memory. This allows data to be both read and written in small sizes, with much reduced latency and far more efficient read/write times as a result. This slickly performing, long lifespan, non-volatile storage and memory will be affordable as well, or so Intel promises. We'll take that with a grain of salt – or indeed a shovel full of the stuff, as affordable is likely to be a relative term – but the good news is we won't have long to wait to find out what sort of price premium will be put on 3D XPoint, as this isn't a breakthrough which is way off down the line. In fact, products are currently being developed by Intel and Micron using 3D XPoint, with the tech set to sample later this year. The technology is expected to make its presence felt in the world of big data (for more efficient crunching and analysis), machine learning, even the real-time tracking of the spread of diseases – and is also expected to have a massive impact on the world of games, offering a huge turn of performance, more immersive experiences and possibly ushering in 8K gaming. Yes, there's a lot of big talk and trumpet blowing going on here, but it seems with good reason. It will be extremely interesting to see the initial products which are rolled out utilising 3D XPoint, and as we've already mentioned, we don't have long to wait now.